Let Us Handle Your Builders Waste Disposal for Perfect Results! After construction or decorating work in your home or office, you can be left with a lot of junk – spare materials, parts, packaging, rocks, dust, sheets, spare wallpaper, paint cans, and much more. Getting rid of these can be a hassle, as you need to collect, carry, transport and dispose of the items. However, we will be able to handle all of this for you. 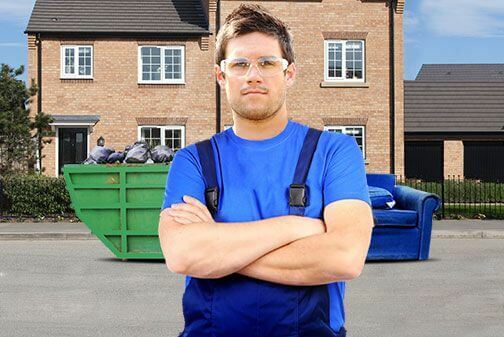 We at London Waste Removal are professional builders waste disposal staff who can handle the chore perfectly. Contact us on 020 3795 9581 and we will arrange for an elite team to come to your address in London. Our services mean you don't have to do a thing, but your entire builders waste clearance project will be completed fast. In order to safely and successfully handle your builders waste collection, we hire the best team. Our staff have all the experience, skill and knowledge to tackle the job well. They will come to your address with all the necessary equipment and get to work quickly. They will work with you to determine what needs shifting and what the best route to use is. 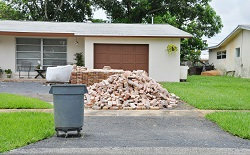 They will break up larger items if possible and have the bags and boxes necessary to store and carry smaller items. They will have the strength to shift your waste without concern, safely avoiding damage and injuries. They will then load their vans up, take things away and ensure they are properly disposed of. We are committed to recycling. We will attempt to recycle as many goods we collect from you as possible when performing a construction clearance. We are dedicated to doing this as we want to help the environment as much as we can with our work. The waste generated through building junk removal could easily negatively affect the Earth, so we do everything we can to prevent it. We aim to give you the best value for your building site clearance. We do this with the free quotes we offer. Call 020 3795 9581 now and we will give you your free builders waste disposal quote. It will reflect the services you desire, so you only pay for exactly what you need. It lets you see the price in advance and if it's not to your liking, you can pass on it. The estimate is no obligation, needs no purchase and you can save more money when you hire our services regularly. You won't just get the builders clearance service you need; you will also get it at an affordable price. We can help with any manner of builders waste disposal project – you just have to call us on 020 3795 9581 and tell us the details. We also provide a same day service, and send as many people as you need to wherever you are in London. We can help out on a regular basis, so if you are often in need of builders waste removal services, we are your best bet. Our services are flexible and we work with you to ensure you get the support you need. We will handle all types of builders waste, ensuring the job is done thoroughly. For more info and your free quote, contact London Waste Removal today. 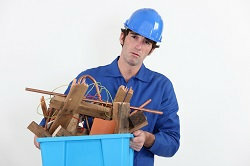 Description: Hire our professional waste collectors available 24/7 across London and handle with your rubbish problems. Dial 020 3795 9581 now and get the best offers! © Copyright 2014 - 2015 London Waste Removal. All Rights Reserved.